ACA Threads is a sewing thread manufacturer and supplier with over 60 years’ experience in the South African sewing thread industry. 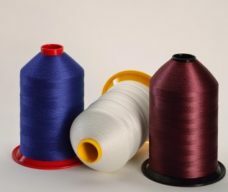 Supplying a wide range of Apparel Thread, Non-apparel / Speciality Thread (industrial sewing thread) and Embroidery Thread. The range of SABS-approved sewing thread, including Seralon, Polycore, Serafil, Acafil and Nylafil. Some of the products in their non-apparel, speciality / industrial sewing thread range are exclusively imported from partners throughout the world. Being in partnership with some of the world’s largest and most advanced sewing- and embroidery thread manufacturers, ACA Threads is at the forefront of cutting edge technology and development, allowing us to offer our customers the best technical expertise. Serafil is a high tenacity continuous filament polyester thread suitable for most heavy duty sewing applications in the footwear, automotive interior, mattress, furniture upholstery, tent, tarpaulin, luggage, lifting sling and geo-textile industries.